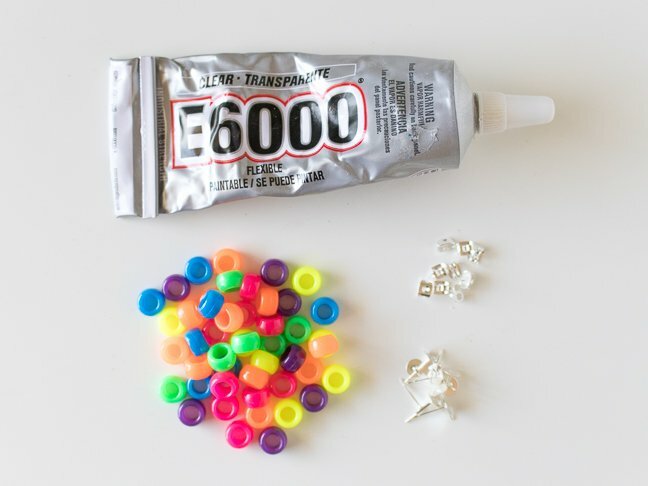 Pony beads are back in style, and they’re perfect for all sorts of crafts. 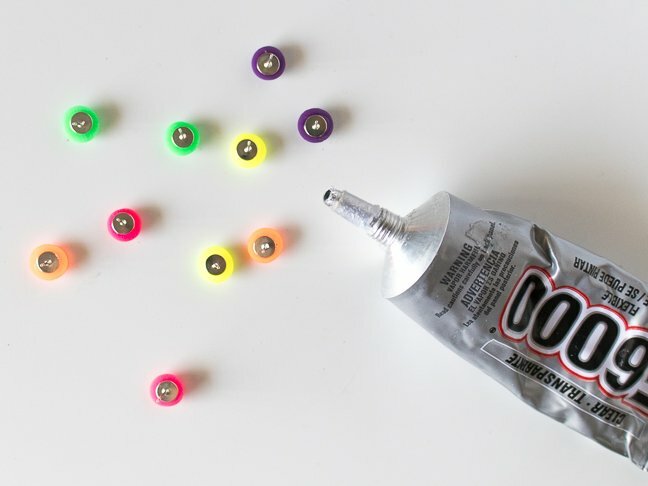 One that I love: Melting pony beads to make earrings. 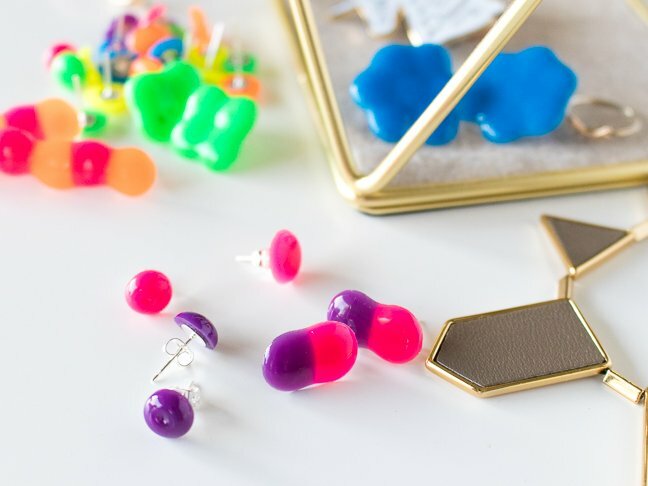 It’s a fun way to get creative with tweens and teens, and you can easily make a large batch for gifting with just a few supplies (altogether the materials cost less than $10!). 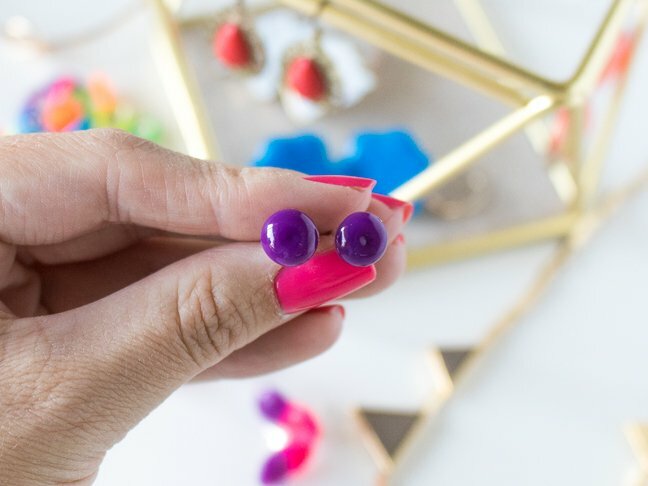 These melted bead studs look just like candy buttons, but you can also mix and match beads together to melt larger, simple shapes. Step 3: Bake for about 10 to 12 minutes. 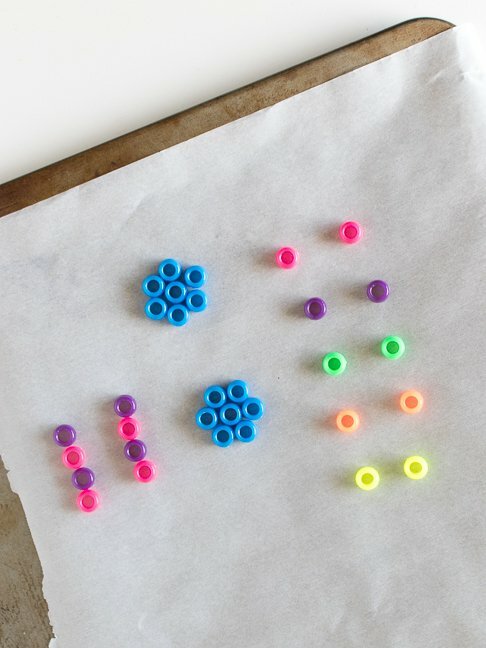 The single beads will melt quickly, but allow the sheet to bake longer if larger pieces are not ready. 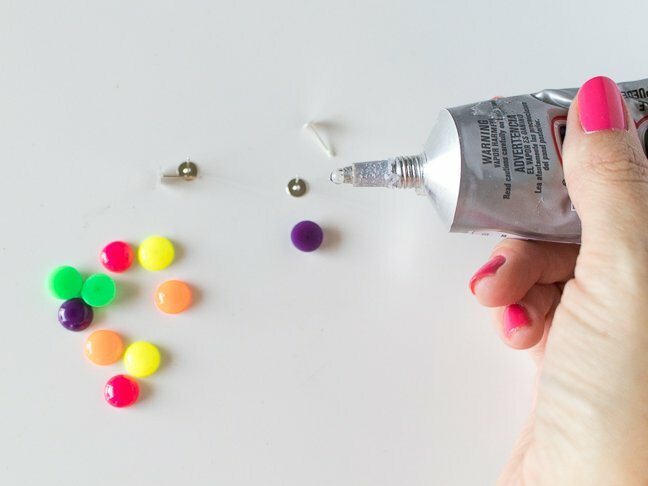 Remove once the beads are melted and let stand at room temperature until completely cool. 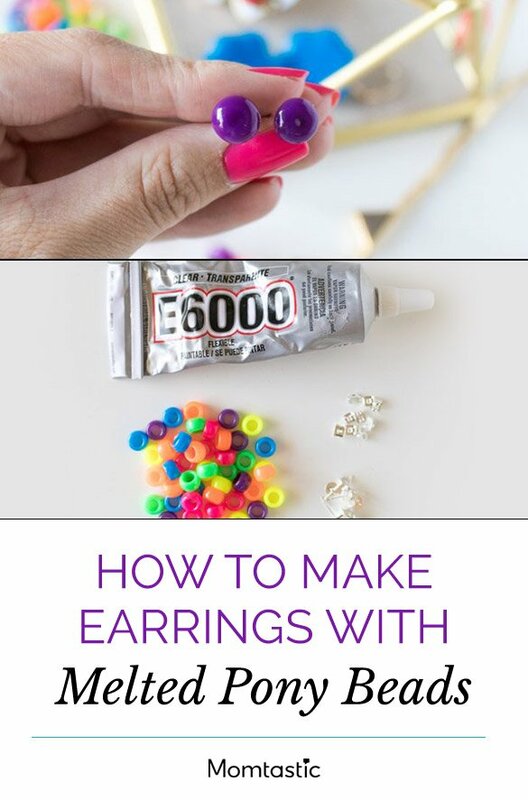 Step 4: Once cool, remove the beads and use a small amount of the glue to attach earring posts to the backside of the melted pony beads. Set aside to dry for several minutes before wearing or using.